Many of us have items that we cannot move across a room by ourselves, not to mention down stairs and into a truck. Let our team of professionals handle the heavy lifting of your unwanted items. We have the uniformed professional and the equipment to tackle any project you may have. While we’re onsite at your project, let us also take garbage bags, cardboard and any other miscellaneous items that you don’t need cluttering up your space. No need to fill up your trash or recycling bins with large, bulky items, that’s what we’re for! Our team will ensure that your space is tidier than when we arrived. No need to worry about us leaving debris around, we have the tools onsite with us to clean up after we’re done loading our trucks with your unwanted junk. 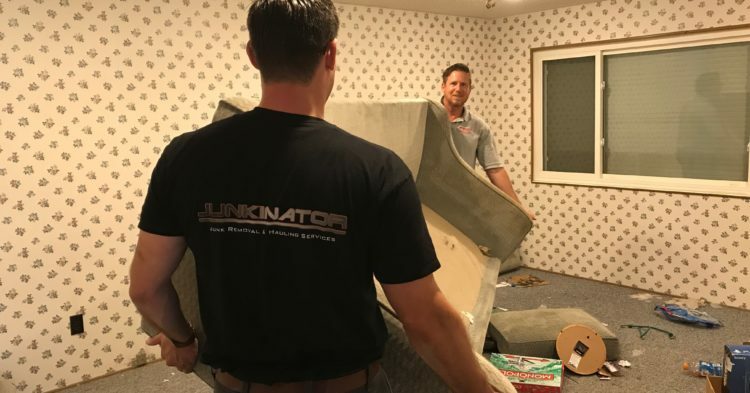 You can feel good about hiring a professional junk removal company like Junkinator, we recycle gently used items whenever possible. You will feel so much better once you rid yourself of your unwanted items. We guarantee you’ll feel better (and lighter!) once you tell our team which items you’d like us to haul away. 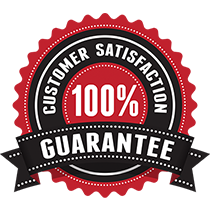 We would love to provide you with a complimentary quote! If the price is right for now, we’ll haul your items away at that time! Love your website – it’s easy to navigate and the colors you chose are terrific! Your web designer did a spectacular job!! The other day, my mother was telling me that she was interested in looking into a junk removal service. She plans on moving into a new home soon and would benefit from this service. It would be wonderful if she could have someone’s professional help to lighten the load of stuff she will move. Thanks for your comment about how you should hire recycling services so that you don’t have to get rid of all of your trash when you do large cleaning projects. I like how you said that these types of companies can help you rid yourselves of things that you don’t need. My husband is considering hiring a recycling service as we get rid of some things before we move. I like that you mentioned finding a removalist company that recycles when possible. Keeping the environment clean is something that means a lot to me. This would make a difference on who I hire. Thanks for explaining how professional junk removal services have the equipment for a project’s hauling needs. My sister is looking to renovate her exterior, and her dock is on top of her priorities. That’ll most likely result in a lot of discarded wood, so I’ll be sure to advise her to get in touch with a junk removal service that can tidy up the space when she’s finished.